Set in Harlem of the ‘50s, Simply Heavenly follows Jess Simple as he tries to raise enough money for a divorce so he can marry his new love and eloquently captures the color, humor and poetry of that time and place. 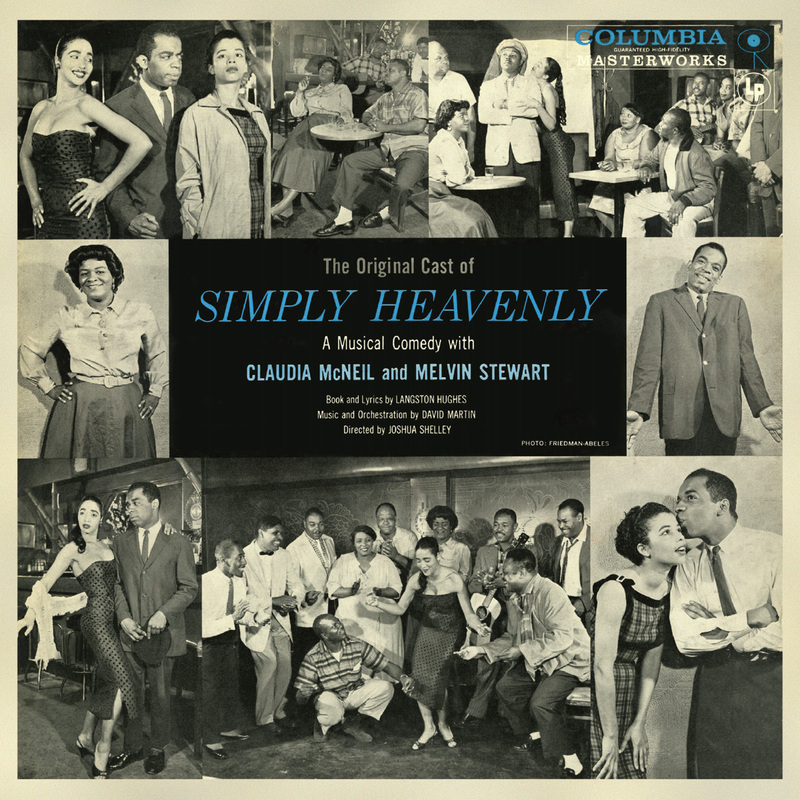 Simply Heavenly – 1957 Original Broadway Cast Recording will be officially released for the first time on CD in the U.S. October 14, with streaming and downloads available the same day. Starring Claudia McNeil and Melvin Stewart, Simply Heavenly was written by Harlem renaissance poet Langston Hughes based on his novel “Simple Takes a Wife and Other Simple Stories.” With music by David Martin, Simply Heavenly was originally produced for the Off-Broadway 85th Street Playhouse. The show transferred to Broadway’s Playhouse Theatre on August 20th 1957 when fire violations forced the closure of the original venue. Hughes continually looked to the musical stage for success following the groundbreaking 1947 original production of Kurt Weill and Elmer Rice’s Street Scene for which he wrote lyrics. McNeil had made her Broadway debut as a replacement cast member in the groundbreaking original Broadway production of Arthur Miller’s The Crucible. She would later originate the role of Lena Younger in Lorraine Hansberry’s A Raisin in the Sun both on Broadway and in the feature film.